Every now and then, a television network runs an Emergency Broadcast Service test. Now, a certain Christian TV network, picked up on these words, “THIS IS A TEST! THIS IS ONLY A TEST!”, and made a little dramatic presentation, in which they related those words to the many trials in which the Christian must go through. And so, they would describe some typical trial which a Christian might go through, and then, they would all say in unison… “THIS IS A TEST! THIS IS ONLY A TEST!”. Now, this little presentation was very clever, since it put an exclamation mark on a very important biblical truth. Yes, God sends us through many trials, in hopes of molding and shaping us into the likeness of Jesus. And we need to realize that these are merely tests that we are going through. Oh no, they aren’t like the tests we had back in school. But they are given us to help us realize just where it is that we need to become more Christ-like. That’s right! God sits as a purifier of silver and gold. He works with us day-by-day, to purify us into the likeness of Jesus. .
Now whether we passed or failed that little test, we nevertheless have become aware that we must strive to always behave in a Christ-like way in similar situations in the future. Or what about times when we are faced with the temptation to cheat on our taxes? And so, it is at moments like this, that it can be said… “THIS IS A TEST! THIS IS ONLY A TEST!” Yes, God has placed us in such situations to strengthen us, and give us future resolve, to do it God’s way, and not Man’s way! CHRISTIAN LIFE, A LIFE OF JOY! But we don’t need to despair! The Christian life is not a bleak and austere life, void of joy. No, God gives us many times of refreshing and rest! God is not a tyrant! But just the opposite! He’s gentle, and tender, and full of compassion and pity over our dire circumstances! Yes, God promises that His yoke is easy and His burden is light! No, it is the heavy and burdensome yoke of the world, which is wearisome! Because, serving the world is not a happy life, all in all. And we don’t need to despair about failing! No, the Bible assures us that if we do not draw back and refuse to submit to God, that we will ultimately become victorious! And so, we must rest confident that such a life as this, is a life of joy and victory! And as we keep our eyes upon Jesus, we look for that final reward of life everlasting, not only for ourselves, but also for those around us, who we have been praying for, day-by-day! 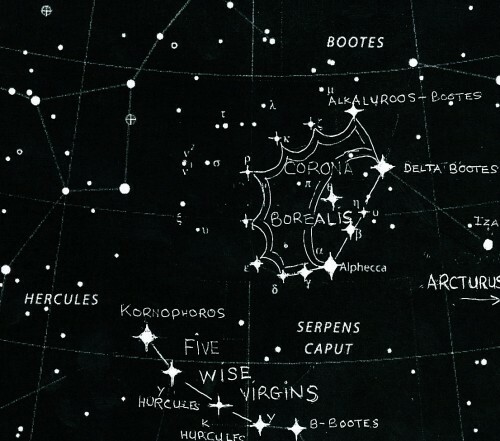 ABOVE PICTURE – winter constellations – Orion & Revelation 12 Dragon seen at Eagle Ridge – Signs Of Heaven.org – Not for profit use! The position of these stars is significant in a number of ways. The first, being that these Five Wise Virgins are gathered around the 12-star Crown of Revelation 12. And the obvious message here is, that these wise virgins represent the faithful portion of God’s Church. And as wise virgins, they understand the importance of winning the glorious crown of victory, which Jesus promised.